High mile 2003 Chevy Impala runs still runs great! We have had good luck with our Impala. We now have 323, 000 miles on it! The most important thing, as is common sense with any vehicle, is regular maintenance. Just have it checked over regularly. We have caught and repaired small issues before they got out of hand. The best part about the Impala is the engine transmission and body seem to hold up against rust. This car gets driven in snow and the unibody frame still looks in mint condition. The engines are more basic these years so when it needs something, spares are readily available and usually cheap to repair. Rides great and still gets 25+ mpg with mountain driving where I live. I will keep driving until it just cannot be repaired. It is been a very dependable, reliable car. I love the size, easy to maneuver. I love this car. Very comfortable, easy to drive, simple to understand. I bought it used and a new engine had been installed. I have had only a few issues with diagnostic lights not wanting to go out once the issue is resolved. I also have the drivers side window that I can't/won't use, the mechanism that makes the window go up is going out and I do not want the window to get stuck in the down position. Also there is some sort of short in the fuel gauge, it ranges from full to empty, I track my fuel usage by mileage. Just a few issues but it is 15 years old, and it is been very reliable, so far. 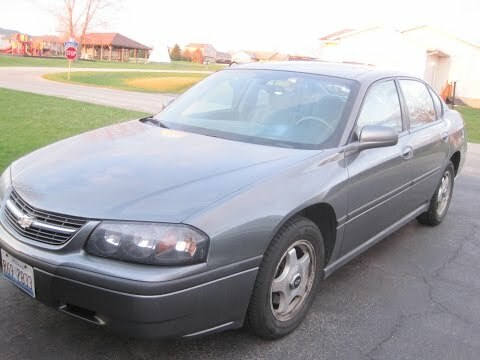 The 2003 Chevy Impala is very comfortable, it drives and rides smooth like a car but it sides like a SUV. It is easy enough to get in and out of with plenty of legroom. I love the power assist buttons on the side of the driver's seat. It makes adjusting the seat to be comfortable for driving super easy. It is a medium size car so it is plenty roomy and the trunk has lots of space for big shopping trips. It has a CD player as well so there is a choice of music options. It is a lower shifter, not on the steering column. So if anyone has any hand issues it is easy to shift into gear.